We have a fin-tastic Gift Shop at SEA LIFE Melbourne that not only features eco-friendly products for sale, the shop itself is also made from re-purposed materials! Peruse the aisles and find that perfect gift, whether it be a unique memento of your visit or a present for a friend, the Gift Shop has it all. Entry into the Gift Shop is FREE! 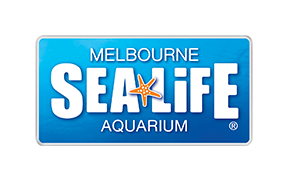 So, if you don't have time to dive into SEA LIFE Melbourne, but need a unique gift, you can still shop to your heart's content! Enter via the foyer.